"Probably the most updated and practical Cisco ASA tutorial out there..."
This ebook has been recently updated to cover the newest ASA version 9.x and also all configurations will work on the new 5500-X Next Generation ASA models. 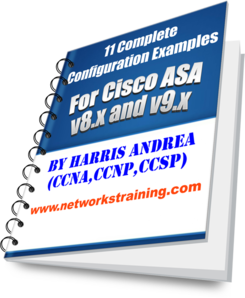 This ebook covers all Cisco ASA versions 8.x and 9.x and includes the changes in NAT introduced in version 8.3 (pre-8.3 and post-8.3 commands are shown where needed). 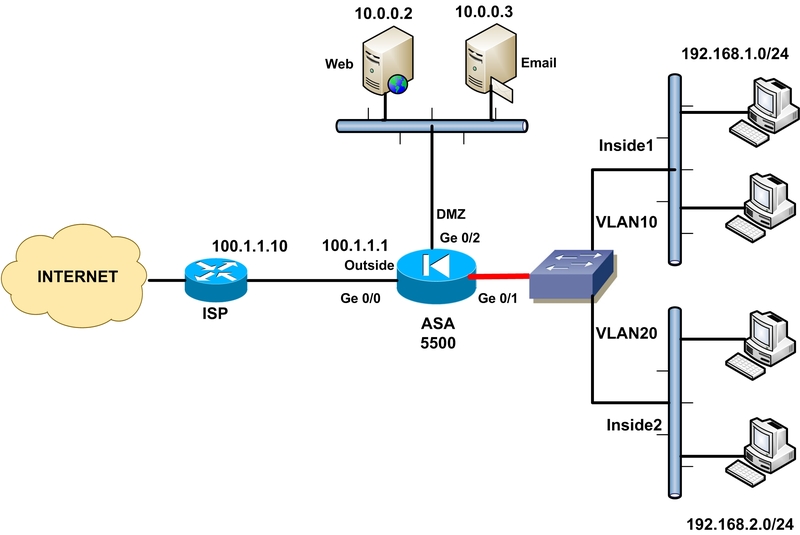 It is currently the only tutorial online that provides so many real-life configuration examples and practical guidelines for configuring the core firewall features of ANY Cisco ASA model (5500 or 5500-X). Thank you for visiting my website. You are a few steps away from learning the Fundamental Configuration Details of one of the Best and most popular Hardware Firewalls in the market... The Cisco Adaptive Security Appliance (ASA). Network security threats are exploding. Numerous security technologies, and software or hardware products have been developed to mitigate these threats. However, the good old hardware firewall is still the cornerstone of any security implementation. Cisco, with its ASA Firewall product lines (5500 and 5500-X models), holds one of the top positions in the firewall appliance market. Learning therefore to deploy, configure, and administer the Cisco ASA Firewall will give you a competitive advantage as a professional in the networking/security field. below will help you achieve just that. Who will benefit from this eBook? 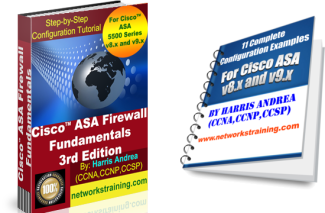 To completely cover from top to bottom all possible details, concepts, features, capabilities and configuration scenarios for the Cisco ASA Firewall you will need a whole bookshelf of textbooks. Instead, you could read this practical and "Direct-To-The-Point" eBook that covers the most important and common configuration scenarios and features that will put you on track right away to start implementing ASA Firewalls immediately. The first two editions of "Cisco ASA Firewall Fundamentals" have been embraced by thousands of professionals all over the world. Now, the newly updated 3rd Edition ebook contains additional advanced configuration concepts and features to offer you even more knowledge and a more complete picture of the Cisco ASA Firewall. Moreover, I have reviewed, tested and updated all configuration commands and examples to make sure they work on the newest ASA software version 9.x. 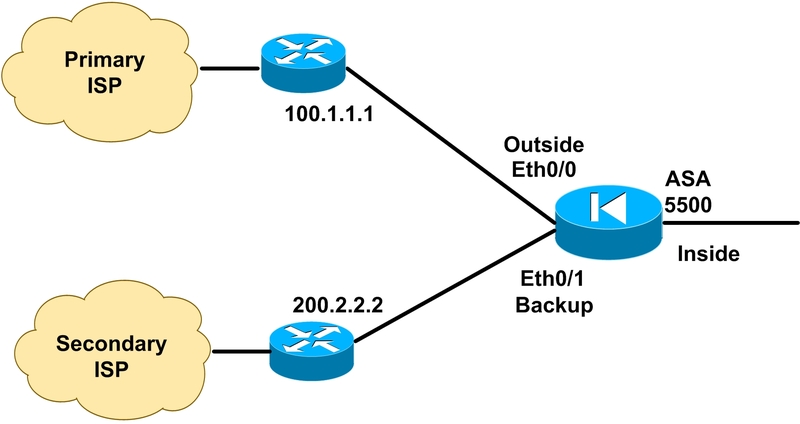 Also, all content in the book is applicable for both the 5500 series as well as the newest next generation ASA 5500-X models (for the core firewall features). Modular Policy Framework Configuration (Class Maps, Policy Maps etc). Using Modular Policy Framework for setting TCP connection limits. Using Modular Policy Framework for Traffic Inspection. NOTE: For ASA5500-X models, the book does not cover Next Generation Firewall features such as ASA CX, Cloud Web Security or Web Security Essentials. However, all the content in the book will work on 5500-X models as well. By purchasing this configuration guide, you will be getting huge discounts for the updated books that I will be publishing in the future. Just make sure to subscribe to my "Customers Email list" (at the download page after purchasing the ebook) in order to be eligible for the discounts. "Are you going to do a ASA Advanced (SNAA) book. You did a great job on this one. thanks for giving a book its help me to understand asa"
I just want to say thank you to you. Your books saved my project. I seriously look for forward to see your next book coming - please keep it under 100 pages! I have bought your book since many weeks and you have done great job. I wouldn't hesitate to buy Advance version of it. I hope it will be jam packed with lots of real world examples and diagrams. If the eBook is full of great information and covering each Technologies for real world scenarios then I am happy to pay whatever price your chose. I have various different ASA books but whenever I want go back to basics, I go and check your color full diagrams plus simple explanation. End-of-Day I am human and forget things. Memory buffer overflow. " Your book has been one of the best books I've bought so far. It provides me with a foundation of knowledge that is allowing me to progress further in my career. Also, it's great that you also find the time to answer some newbie questions (thanks again for providing advice)! I can't wait for the next book to come out! 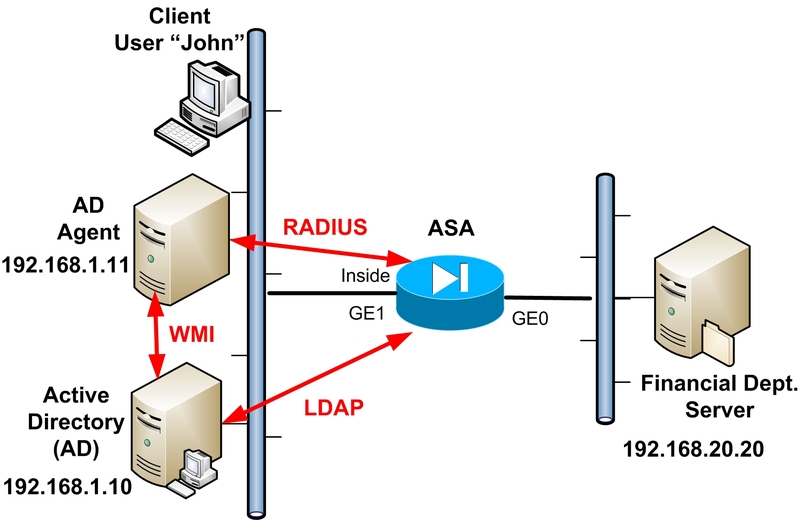 "I Just want to say that this Cisco ASA Doc has been a great help to me as a Cisco Consultant. As a Cisco Consultant I have to understand all Cisco Technologies , and having a good reference Doc is hard to come by. Also want to say for the price its a great deal!!!" "I have bought your ebook yesterday… GREAT JOB! just i want to say that your book is so far one of the best book that i have purchased , it’s for me a reference and it help me to performe a good project , and it’s value worth more than 27$ can’t wait for your next book"
"Cisco ASA Firewall Fundamentals book is well worth the cost. Its contents were just right for me. I understand intermediate networking but I don't work on Cisco ASAs often enough to remember everything and I didn't know much about the new 8.3 changes. I use Cisco ASA Firewall Fundamentals more than any other Cisco ASA book as a quick reference and a reminder if I have a Cisco ASA question. This book quickly showed me what the significant changes in 8.3 are. 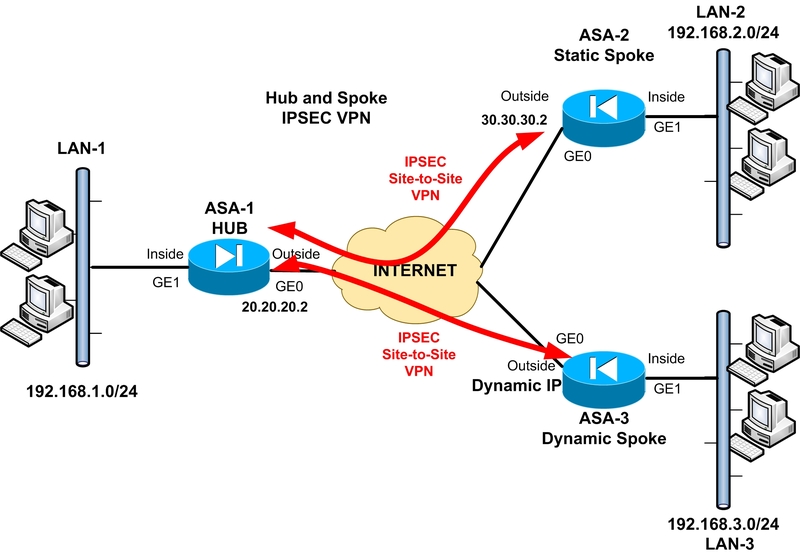 Cisco ASA Firewall Fundamentals isn't dense like most Cisco books. It's very accessible. It doesn't contain every detail but it's the most used Cisco ASA book in my library (including all the books on O'Reilly Safari). It's easy to quickly read through, digest, and also good to refer back to later. It has excellent examples and explanations with helpful diagrams along with the command line commands. Harris, thanks for writing this book and making it available at a reasonable price. If you write more books I will buy them too." "We upgraded from a 10 year old Netscreen NS100 to a Cisco ASA5510 and this book was a great asset in learning how to recreate our firewall rules. It's a very short read and right to the point! I found it much easier to follow than Cisco's own book and would definitely recommend it as your main or companion reference." I can't thank you enough for the the information you provide in your book. Even though I have taken both ICND courses and have a firm grasp of Cisco OS, I find myself referencing your work quite often. Your book is awesome, I’m glad that I brought it. 1 thing that I can only promise you is that I’ll recommend your book to my colleagues and on my previous colleagues and I won’t give a copy to them. I wrote you one time and you replied back, it was about a command in Class-Maps and you informed me that it was introduced in version 7.4, awesome!. I was very impressed, thank you. Just wanted to let you know, that the book, Cisco-ASA-Firewall-Fundamentals took me to the next level configuring and troubleshooting Cisco ASA 5510 firewalls. 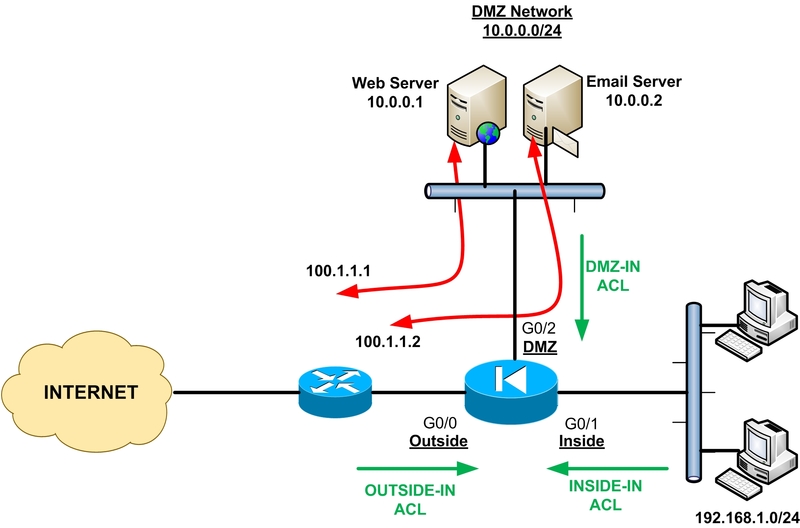 Perhaps let us know about your next book and include configurations for QoS on the firewall, since some VoIP providers are found now on the internet. The Cisco ASA Firewall Fundamentals book is simply incredible.I was afraid of reading the Entire Cisco ASA firewall book as its too time taking to finish . But ur book has made my work easy .U did a splendid job in ur book. I would like to call it a short a precise book for quick and better understanding. The way u wrote the books shows that you are really a Master of ASA Technology. I hope in future u shall write books for CCIE level also, it will be a great fun to read the books written by you. Thanks from the Bottom of my Heart. I will be waiting for your CCIE Level books. You can see those testimonials on my blog post HERE. I'm offering you also, as a FREE Bonus, 11 real world complete configuration examples which have been tested to work on both ASA 8.x and the newest ASA 9.x versions. Each configuration example contains a network diagram and explanation of the scenario to be configured. Then, the complete ASA configurations are given together with command explanations as needed. You can pay securely using your Credit Card or PayPal. 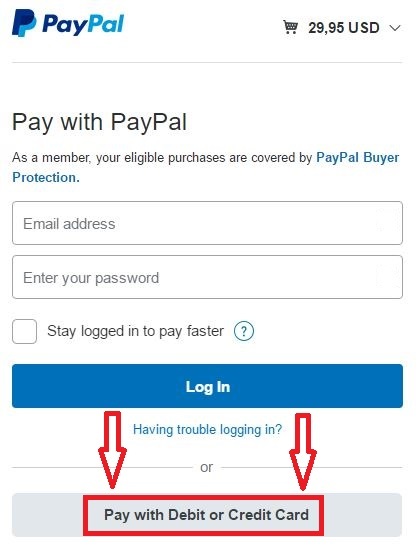 Note that you can use your Credit Card even if you don't have a Paypal account (see image below). These are Acrobat PDF Format eBooks. After purchasing with your Credit Card or PayPal you will receive an email with a download link to get your eBooks instantly. This is the best value for money book for Cisco ASA Firewalls that you can find out there!!! Think about it for a minute: By purchasing the above Bundle Package you will invest in your professional education and enrich your technical knowledge on Cisco ASA Firewalls and Cisco VPNs for a price that is less than a dinner for two. Is it worth it or not? 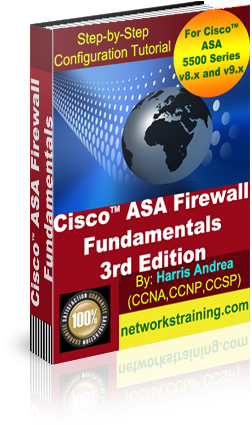 I'm so confident that you will be completely satisfied with "Cisco ASA Firewall Fundamentals - 3rd Edition" that I offer you unconditional Instant Money-Back Guarantee. Just send me an email within 30 Days from your purchase and you will get your money back...No Questions Asked. All brand names and product names used herein, are trade names, service marks, trademarks, or registered trademarks of their respective owners. 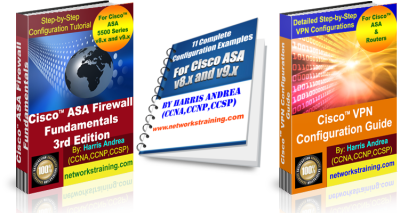 "www.networkstraining.com" and "Cisco ASA Firewall Fundamentals" are not associated with any product or vendor mentioned, including Cisco Systems. PIX and ASA Firewalls are registered trademarks of Cisco Systems, Inc..